Don’t Walk Away From Health Care Reform! 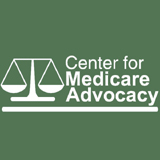 The Center for Medicare Advocacy supports efforts to pass the Senate’s health reform bill. We reiterate what President Obama asked of Congress in his State of the Union address, “don’t walk away from [health] reform!” Paul Krugman agreed in his NewYork Times editorial. Now is not the time to retreat, or to insist that the perfect defeat the good. Too many people have no health insurance, too many are denied coverage because of preexisting conditions, too many face bankruptcy because of uncovered medical bills for us to give up. Listen to Teddy! Pass the Senate health care reform bill as soon as possible – if that’s what can be done, if that’s what’s feasible – do it! To speak to your members of Congress, call (800)828-0498. Senator Chris Dodd (Dem. Conn) posted this statement on Daily Kos in advance of the meetings he will have with Senator Baucus, Senator Reid, and the White House next week in order to hash out a compromise health care bill to send on to the full Senate. He sent his editorial on to us for CMA’s health policy blog. At the request of the late Senator Ted Kennedy, Senator Dodd chaired the Senate HELP Committee’s work leading to passage of a health care reform bill in July. Next week, I’ll sit down with Majority Leader Reid, Finance Committee Chairman Baucus, and the White House to merge together the provisions of the two health care bills that have been passed by Senate committees. I’ll be there as the representative of the Senate Health, Education, Labor, and Pensions (HELP) Committee, but I know that I’m also carrying with me the responsibility of speaking up on behalf of millions of passionate activists – without whose efforts we wouldn’t have a President who has made reform a top priority, not to mention enough Democrats in Congress to pass a bill. I understand that many of you are worried about what that bill will look like. I know first-hand how frustrating it has been to watch good ideas clash with political realities, especially on such an important issue. The HELP and Finance Committees worked on different pieces of the bigger reform puzzle. My committee passed strong prevention, quality, workforce and long-term services and supports measures. Finance worked to strengthen Medicare and help small businesses afford and purchase health insurance for their workers. Sometimes, our two committees overlapped. We both agree that insurance companies shouldn’t be allowed to deny coverage for pre-existing conditions, discriminate against women or the elderly, implement annual or lifetime caps on the benefits you can receive, or take away your coverage when you need it most. That’s something we all agree on – and that’s a pretty good place to start from as we merge our two bills. But we have come too far, and worked too hard, to settle for “pretty good.” And that’s why I plan to take a stand. First, and let me be very clear about this: I am going to fight for a strong public option. The simple, undeniable fact is that a public option will save money – and it will introduce more choice and competition into an industry that badly needs both. It is the single best way to keep costs low for middle class families – and keep the insurance companies honest. And I am by no means ready to back down on making that argument. There are some other issues to hash out, as well. I believe that we should require everyone to get health insurance, just as we require everyone to get auto insurance. But I also believe that it is unfair to burden middle class families with a mandate they can’t afford. I think the HELP bill has especially strong provisions to keep costs low and quality high, and I think they’re worth fighting for. When we sit down with the White House to merge these bills, it will be an historic moment – one more unprecedented step towards finally overcoming the well-financed special interests and achieving the reform that has eluded us for more than 60 years. It will be a moment to celebrate how far we have come – but also a moment to be bold as we take the final steps towards reform. It will be a negotiation, and I can’t promise that every disagreement will be resolved in our favor. But I can promise that I will walk into that room prepared to fight for a strong public option, affordability provisions that protect the middle class, and common-sense protections to keep the insurance companies honest and guarantee that every American family can choose a health care plan that’s right for them. Thank you for reminding us to be civil, to bear life’s burdens, to sail and swim when you can, to expect mortality – and to seek health care for all.